Executive Functioning & ADHD – The Invisible Disability. The single greatest predictor of academic success is Executive Functioning. It’s even more important than IQ! 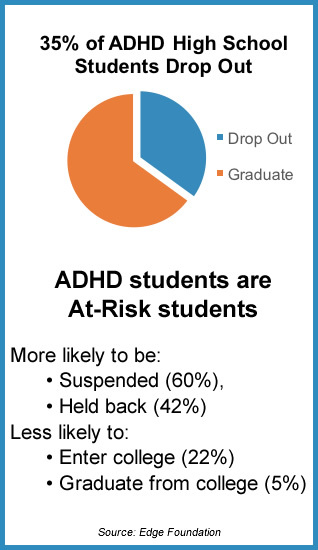 ADHD is one type of Executive Functioning impairment. Executive Functioning is the higher function of your brain that helps you control and regulate your behaviors and emotions. Think of Executive Functioning as the aircraft controller or the orchestra conductor for your brain and body. Each of us is born with the same set of Executive Functions. However, One Size Does Not Fit All and ability in each of these areas varies on an individual basis. When you have ADHD you are more often challenged by Executive Functioning than people who don’t have ADHD. It is important to recognize that each person has their own, unique set of strengths and weaknesses. The key is to be introspective and understand yourself — know your strengths, your challenges, your passions, your aversions. That is why so many people benefit from the individualized attention that an ADHD Coach brings to helping you identify and find successful strategies for your Executive Functioning impairments so that you can lead a more happy and fulfilled life. An ADHD coach is trained in the unique challenges and opportunities faced by ADHD students with Executive Function impairment. We understand that some have a brain that just works differently. Instead of just “trying harder”, what if you just need a different approach to manage your everyday responsibilities? What can you expect from working with an ADHD Coach? Schedules weekly one-on-one coaching sessions (either in-person or via phone) to set goals, discuss challenges, hold you accountable and keep you on track towards achieving your goals. Works collaboratively with you to help you attain YOUR goals. The sessions are Student Directed. Starts with the assumption that you are capable and resourceful. He or she believes in you! Is like your Personal Trainer, not only for school but for life. Facilitate exploration of Executive Function strengths and areas for improvement. Assist you in identifying & prioritizing your personal & school goals. Keep you focused on your goals and help you maintain momentum. Help you develop a customized time-management and organization system that works for you. Establish an effective follow-up & accountability system. Help you become more productive and less distracted. Provide you with unconditional support and encouragement, and is your biggest cheerleader, not only when you succeed, but when you fall short of your goal. 1. Maximize your individual skills, resources, and productivity toward achieving your goals. 2. Be dedicated to inspiring, supporting, and challenging you to uncover and fulfill your life’s dreams and goals, both personally and professionally. 3. Help you identify where your life is out of balance so that you can create a more balanced and fulfilled life. 4. Assist you in identifying your goals and setting priorities. 5. Help you devise action plans and strategies that keep you focused on your goals. 6. Develop a customized time-management and organization system to ensure progress towards your goals. 7. Schedule weekly coaching sessions (either in-person or via phone) to hold you accountable and keep you on track towards your goals. 8. Help you identify, work through, and remove obstacles which sabotage your desire and ability to change and follow-through. 9. Ask you powerful questions to make you think and become aware of what you want out of life and how you are going to become pro-active in your life rather than reactive. 10. Provide you with unconditional support and encouragement, and is your biggest cheerleader, not only when you succeed, but when you fall short of your goal. Check all that apply and submit for a free 30 minute consultation. Do you do your homework but forget to hand it in? When you finally clean out your backpack or room, do you find things you’ve “lost”? Are you often late and just can’t seem to get out the door on time? Do have trouble staying focused on the things you know you “should” be doing? Do you get bored in class? Do you tend to procrastinate? Do you do well on one test and practically flunk the next? Are you overwhelmed? Discouraged? Behind? Do you have trouble starting and finishing projects? Have your grades tanked? 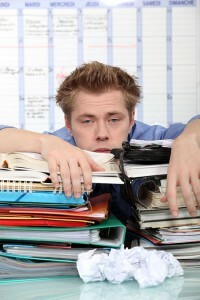 Are you having a hard time organizing your time for all your classes and activities? Do you lack self-motivation?